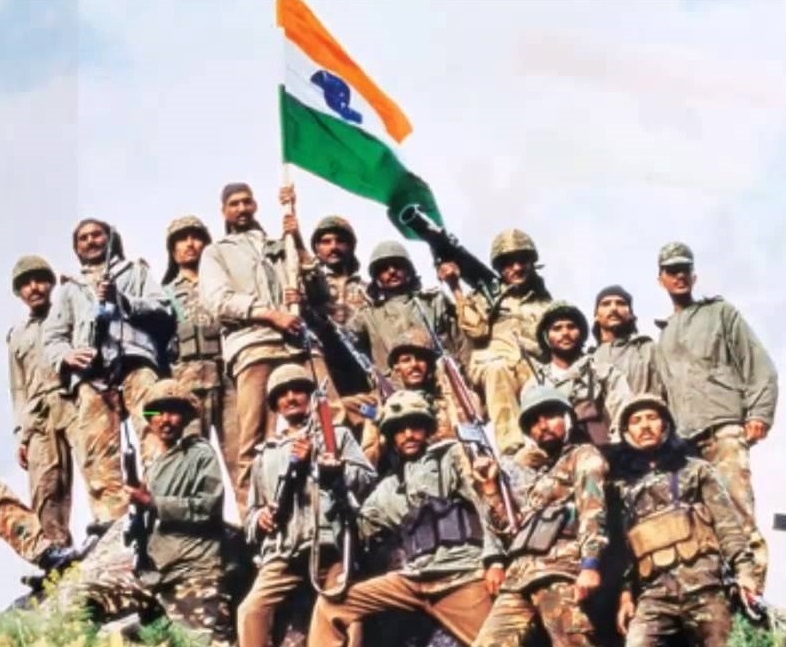 Today is the 17th Kargil Vijay Diwas. On this occasion we remember the great victory of Indian Army over the intruding Pakistan Army. The Kargil ‘war’, as it is called, was not a conventional war. The territory intrusion by Pakistan did not result in a full-fledged war but was limited to a specific area with limited army involvement. Another important factor was that Pakistan had not ‘declared’ a war but had claimed that the intrusion was by Mujahideens and not their army. It was fought at great heights, with the battle at ‘Tiger Hill’ being fought at above 5000 meters. It is extremely difficult to fight at those heights and at such low temperatures. An added danger for the Indian Army was that Pakistan had already occupied the higher positions and they had to push them out by climbing up to them. The Lahore Declaration was important citing the growing nuclear arsenal between the two countries and was instrumental in promoting peace and stability. However, just 3 months after the signing, Pakistan began the intrusion. Indian Army successfully ousted Pak Army and regained the posts. The Pakistan Army suffered heavy casualties. A US report adjudged that Pakistan had suffered about 1000 casualties while India’s number was under 600. Added to that Pakistan Army felt that their political leadership had failed them by not giving them sufficient support and also failing them on international level. Pakistan’s major agenda was to bring the Kashmir issue on international level and leverage their positions in Kashmir to get what they want. They failed on both fronts as the majority of the community condemned their actions and called for retraction. China too did not support Pak but adopted a neutral stand. India had conducted its second nuclear tests in 1998 followed by Pakistan’s first. So the war in 1999 was the first between the two nations after gaining nuclear capabilities. It was also one of the few wars involving two nuclear nations. It has been widely said that this intrusion was largely a brain-child of then Pakistan Army Chief Pervez Musharraf and that even the Prime Minister Nawaz Sharif was kept in the dark. Musharraf escaped a trial when he buried an investigative report against him and through a coup ousted the current government. Electronic media was on the rise and this was one of the very publicised wars with the general public being able to watch and know what was going on in the conflict. It created a sentiment of patriotism in India and a great sense of jubilation after the war was over. For Pakistan, they failed on both military and political fronts whereas for India it was a great intelligence failure. India failed to anticipate the intrusion and learnt about it from a local who had gone to the mountains. It is even said that India should have deployed kept some patrols in the area to watch over any movements. Recently, it has come to light that India was minutes away from bombing Pakistan bases. The plan was already set but then the war ended. Pakistan bowed to international pressure and to the onslaught of Indian Army and retracted its troops.